He has money and a large base of loyal supporters, and he's polling better than Gov. Rick Perry. 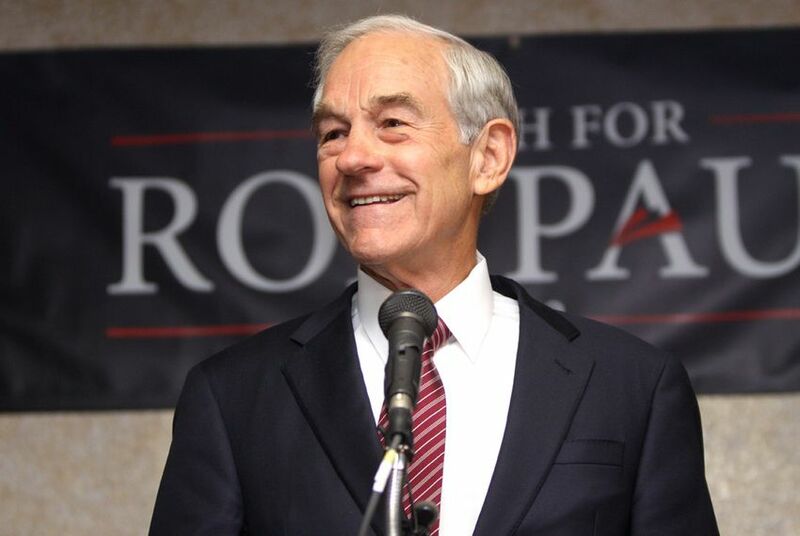 So why is U.S. Rep. Ron Paul the perennial underdog of the Republican presidential race? Just four weeks away from the nation’s first caucuses, U.S. Rep. Ron Paul is sitting near the top of several polls in Iowa. But even with his large war chest and loyal base, many doubt the longtime lawmaker could be the Republican presidential nominee. Jim Henson, director of the Texas Politics Project at the University of Texas and the co-director of the UT/Texas Tribune poll, says Paul’s recent surge in several surveys — placing him just behind former speaker Newt Gingrich and tied with or ahead of Mitt Romney — can be attributed to other candidates’ mistakes and to Paul's unique brand of politics. “None of the other candidates can really touch Ron Paul when you come right down to it for being an expression of this kind of pure libertarian constitutionalists’ perspective that he articulates with ... breathtaking consistency,” Henson said. Despite having plenty of campaign cash to run ads and a fiercely loyal cadre of volunteers making phone calls on his behalf, Paul remains a perennial underdog in the media’s eyes and in Republican circles. The Daily Show’s Jon Stewart famously highlighted this disconnect in his Aug. 15 show, after Paul’s strong showing in the Ames Straw Poll was largely ignored in cable news coverage. Austin software engineer Don Zimmerman has supported Paul for 10 years and sits on the 62-member State Republican Executive Committee. He said Paul is marginalized because of his unconventional views on foreign policy and on drugs. Paul has said that federal aid to other countries is unconstitutional and that drug legalization is a states’ rights issue. His steadfastness on the issues attracts supporters like him, Zimmerman said. But even if many identify with Paul’s criticism of federal spending and his emphasis on personal responsibility, they may also have a hard time supporting a candidate who advocates dismantling federal government, including abolishing the departments of Education and Commerce. Paul is also opposed to all forms of government-funded health care. “I think it’s hard for people to accept that Ron Paul — the complete package — could ever actually carry the nomination of the Republican Party,” Henson says. Winning is a long-term challenge. For now, the Paul team appears focused on mobilizing its grassroots campaign to start the primary season on strong footing. In August, its efforts were rewarded with a second-place finish in the Ames Straw Poll. Paul lost to U.S. Rep. Michele Bachmann, R-Minnesota, by a mere 152 votes. Today, he is polling ahead of Bachmann and Gov. Rick Perry. In campaigning, like politics, Paul’s strength is his consistency. Though he finished in a disappointing fifth place in the 2008 caucuses, he has maintained a presence in Iowa since then. His allies argue that his base has grown as the economy has faltered and Americans have become weary of the wars in Iraq and Afghanistan. Paul's campaign is currently running ads on Iowa television, recruiting college-aged supporters to spend their Christmas break on the campaign trail, and opening additional offices in five new states that do not hold early primaries. The real test, though, will come on Jan. 3. Art Sanders, a professor of political science at Drake University in Iowa, said voters' dissatisfaction with other candidates has helped Paul’s popularity. Though older voters take issue with some of Paul's views, Sanders said, he makes up for that with his young supporters who are fanned out on college campuses across the state. Sanders said Paul could win the caucuses if any of the following scenarios unfold: Gingrich self-destructs, the vote is divided enough among several candidates or the bitter Iowa winter keeps voters from venturing outside for the caucuses.